Join us to hear from Barbara Reyelts, a MacEwan University Visiting Artist in Journalism. As a journalist, Reyelts uses powerful storytelling to capture readers, listeners and viewers. She will share tips and techniques to translate your organization’s key messages into vivid stories that connect, inspire and motivate your target audiences. Her presentation will include current examples of digital media storytelling. Learn how you, as a communicator, can include the power of stories in your own work. Prepare to examine the anatomy of storytelling. This event is in partnership with the MacEwan University Bachelor of Communication Studies. Reyelts spent 38 years as a reporter, anchor, producer, public affairs program host, investigative unit leader and news director. In 2006 the National Academy of Television granted her its highest honor, The Silver Circle for significant contributions to journalism. In 2011 she was inducted into the Minnesota Broadcast Hall of Fame and in 2015 she was given the highest honor the Midwest Broadcast Journalists Association gives, the Mitchell Charnley Award for outstanding contributions to journalism and investigative reporting. 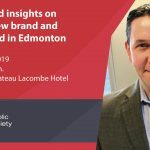 CPRS Members and Current MacEwan University faculty/staff can attend this session for free. LIMITED SPACES AVAILABLE. Proof of association to CPRS Edmonton or MacEwan University will be requested at registration. Please email programming@cprsedmonton.ca asap to let us know if you have any special dietary requirements. There will be no refunds issued for this event – due to high demand if you cannot attend, please alert the organizer so we can provide tickets to the wait list.